Brand new sandals from Lunar. The Shelly from Lunar can be paired with any outfit to add a bit of glamour and sophistication this summer - this sandal features colourful flower and pearl detail on the upper and strap. For your comfort, the Shelly sandal features a padded insole and single buckle fastening. 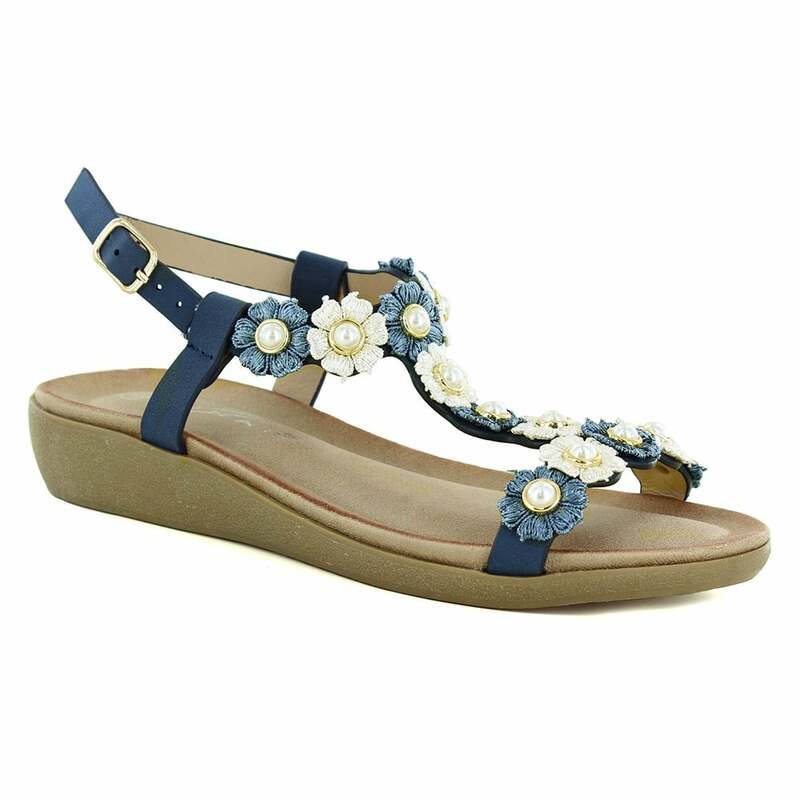 Your feet will be in heaven this summer with the Shelly womens floral sandals from Lunar. Get yours today!